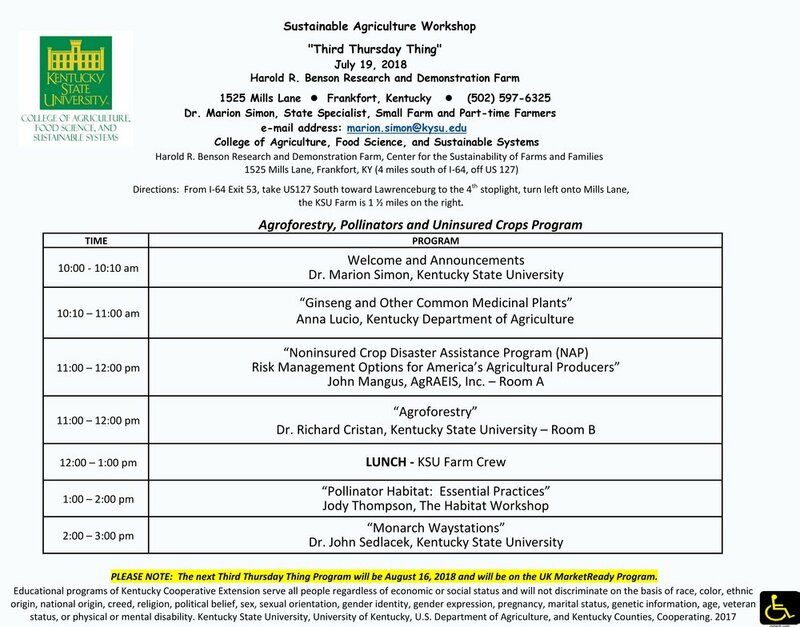 Join us at Kentucky State University's monthly "Third Thursday" to to learn the essential practices of successful pollinator habitat. Whether your working on 50 acres or a home landscape bed, we'll cover the most important DOs and DON'Ts for these projects. No pre-registration required. See full agenda below.